Cannabidiol or CBD is a common cannabinoid that is in the cannabis plant. It is considered a good therapy for various illnesses like pain, epilepsy, multiple sclerosis, inflammation, acne, Psoriasis, broken bones, Mad Cow disease, depression, diabetes, Rheumatoid arthritis, anxiety, and heart disease. Two cannabinoids – CBD and THC or tetrahydrocannabinol are the two cannabinoids which people know. THC is present in huge quantities of cannabis plants. It is responsible for the psychoactive effects which make cannabis users get high. Cannabidiol has a presence in the cannabis plants at reduced levels. The main source of CBD on the market nowadays is from the hemp plant. People grow help for clothing, food etc. There are two kinds of cannabinoid receptors – cannabinoid receptor type 1 (CB1) and cannabinoid receptor type 2 (CBD2). There is a great binding power of THC with CB1 and CB2. CBD shows its benefits via indirect actions. 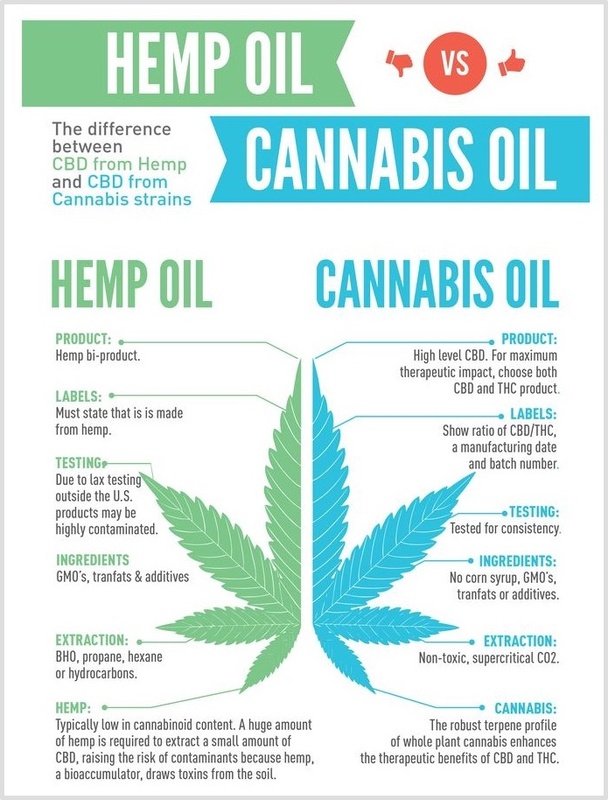 CBD oil from Hemp: Hemp consists of a higher CBD to THC ratio as compared to cannabis. It has less amount of THC. It is legal in 50 states. It is grown outdoors. CBD oil from Marijuana: There is a greater risk of THC content. There is a lot of diversity in cannabinoid and terpene profiles. Plants are small and bushy with more flowers. Which is best for pain – THC or CBD? There are several aspects to take into consideration when trying to ascertain THC or CBD is finest for pain relief. CBD is considered best for inflammation and neuropathic pain. THC proves to be of immense use for pain related to cramps. CBD can lessen the impact of THC. This means that mixing the two is good in the management of pain as this enables a user to carry on the day without getting any intoxication. It would be a fantastic idea to speak to your physician about how to use CBD oil. When you have taken a decision that CBD is essential for you, it is pivotal to adhere to the instructions. If you lower your dosage, it may cause a reversal of the effect. If you consume your medications at incorrect times, it can lead to an increase or decrease in CBD blood concentrations. A good appetite is important to a healthy body when the body is healing. CBD oil helps in stimulation of appetite. CBD eases vomiting. CBD proves to be helpful for persons taking chemotherapy and other treatments for serious diseases. Acts as an analgesic: CBD aligns to CB1 receptors to assist in relieving pain. CBD has got an anti-inflammatory effect that helps in reduction of swelling. Relieves anxiety: Treatment with the help of CBD proves to be better as compared to anti-depressants as it acts fast and there are no side effects. Cancer: CBD is known to inhibit the growth of cancer cells by controlling the spread of cancer cells. Anti psychotic: CBD helps to give relief to psychotic symptoms linked with schizophrenia. CBD has immense health benefits. CBD has surprised medical researchers with a wide range of health benefits it gives. CBD oil assists the athletes and improves the results they get from exercise. CBD oil has got the ability to lessen discomfort and post-exercise pain. CBD oil is non-addictive and non-toxic. It proves to be free from side effects when dealing with acute pain. CBD is the best means to relieve pain without any side effects. CBD is one of the 104 chemical compounds called cannabinoids found in the cannabis plant. It is a natural substance which can be extracted and blended with a carrier oil to make CBD oil. CBD is not psychoactive and that means it will not make you get intoxicated. There is a bit of confusion regarding the CBD oil legality. CBD oil is considered legal across the United Kingdom for medicinal purposes. There are some restrictions regarding THC oil’s THC content for CBD oil to be legal in the UK. It should not have over 0.2 percent THC and THC should not be separated from it. Hemp and marijuana are from the similar genus and species. One feature of having low THC is the single difference that most people depend on to differentiate between industrial hemp and marijuana. Cannabinoid compounds are substances that bind to receptors all through the body and brain. Hemp seed oil: Seeds of industrial hemp are cold pressed. There are small amounts of cannabinoids which include CBD. Cannabis Oil: Cannabis oil is made from marijuana with a high percentage of THC. It can be bought in a region where marijuana is legal. The compounds like CBD and THC differ from one product to another. CBD oil extracted from hemp is marketed as a food supplement for the promotion of well being. 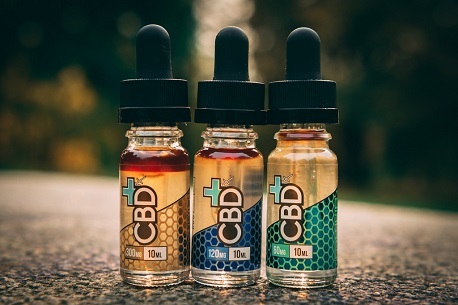 CBD oil is getting immensely popular nowadays. CBD is extracted from Cannabis Sativa L. This name denotes a wide range of plants which include help and medical cannabis. Agricultural hemp is high in CBD and is less than 0.3 % THC in the dry weight material. The hemp plant has several uses and is a nice source of nutrition. Hemp seed is the oil which is made from hemp seeds. Hemp-derived CBD oil is extracted from all portions of the plant. This includes the stem, seed and has greater concentrations of cannabinoids which lie between 5 to 25 percent in concentration. CBD is becoming increasingly popular in the medical community due to its safety aspects. It will keep you healthy without making you intoxicated. It is a nice addition to your everyday supplement schedule. We have the finest standards about the purity, quality, and potency of the CBD oil we manufacture. We measure the CBD levels to the milligram in every batch. Cannabidiol or CBD is a popular cannabinoid found in the cannabis plant. CBD can help in the reduction of stress and anxiety, inflammation and pain. CBD also assists in preventing topical ailments such as acne, psoriasis, and eczema. CBD oil is non-intoxicating and has no side effects. CBD was found out in the year 1940 by Roger Adams. Adams made CBD from hemp isolated. Adams made analogs of THC and some other cannabinoid and exhibited their association to CBD. CBD has been a natural option for a wide range of health-related problems. It can be utilized as a replacement for pharmaceutical drugs and it has been growing in the past few years. It may be utilized for a wide range of problems like lowering blood pressure for providing side effects linked with cancer treatments. CBD oil is known for its effects in treating symptoms linked to drug addiction and alcohol. Marijuana is flowers, stems, and seeds of cannabis sativa. Cannabis consists of THC that is Tetrahydrocannabinol (THC) and CBD. THC is an element in cannabis that gives a feeling of happiness by coordinating with CB1 receptors in the brain. These receptors impact mood, coordination, appetite, and thinking. Cannabinoids are non-psychoactive. They interact with the CB1 receptors and do not change impressions, judgment or awareness. Extensive research exhibits that CBD proves beneficial in being an anticonvulsant, anti-inflammatory, antioxidant and antipsychotic agent. It helps to lower diabetes and aids a healthy heart. It treats depression in an efficient way and helps in growth of bones. CBD assists with insomnia and people find it highly effective. CBD products come in a wide range of forms which include tinctures, gel caps, and topical applications. Labneh is greek yogurt which is strained to make cheese. It needs hemp infused olive oil and lemon to prepare a sumptuous appetizer. You can enjoy the CBD popcorn butter. You may add some drops or squeeze a capsule into the melted butter for a great, healthy snack. When you add cannabidiol to any oil prior to the use, it provides a healthy dose of active compounds. Butter in any form goes nicely with cannabinoids. You can make your day bright with the health benefits of hemp packed into your morning coffee. You can mix kale, ginger, carrot, apple, and CBD for a healthy meal supplement. Cannabidiol oil add a herbal note. Craft brewers make infused beers which have taste notes making use of entire cannabis or CBD. Taking CBD for your health is a great idea. You may take creams and lotions for the best effect. You can drop CBD oil under the tongue for fast absorption or add CBD to food or beverages so that you can utilize it properly. CBD is accessible through e-cigarette vaporiser devices or vape pens. Tinctures are taken via spray or dropper just right into your mouth. CBD utilised in these forms can be extracted from marijuana or hemp plants making use of carbon dioxide gas. CBD balms have extracts which are blended into a fat like a coconut oil or beeswax. The recipe makes it simpler to spread the product evenly on your skin. It enables CBD to penetrate into the skin. Watch the video below to hear what a Dr. Billy Demoss has to say about the benefits of CBD Oil.